By understanding these personas, your sales team can quickly identify the types of people your customers employ, what their needs are, and what technology is right for them. Dell EMC has identified two personas in the office: desk-centric workers and “corridor warriors”. 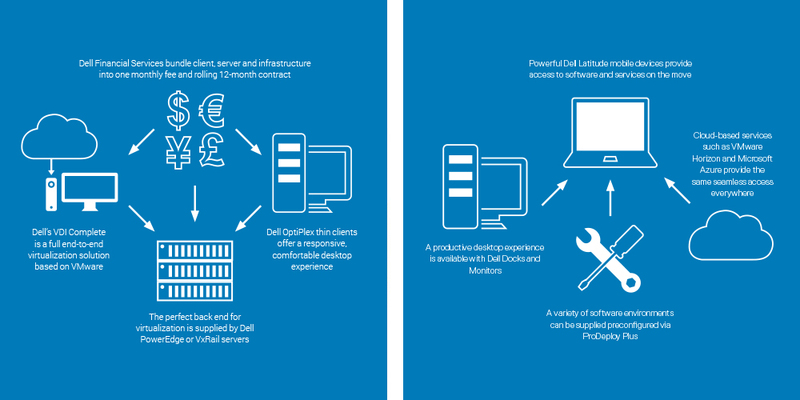 Let’s check out what offerings from the Dell Technologies portfolio suit their working needs. Desk-centric employees predominantly use a desktop PC because they perform specific roles and need a fixed environment for functional, security, or compliance reasons. Our technologies provide a comprehensive desk-centric user experience. Take the Dell OptiPlex, for example. It’s a desk-based system using Microsoft Windows 10 Pro with a choice of form factors and mounting options to personalise a workspace. Alternatively, Dell Wyse terminals can provide the end-point for a complete thin client solution. Along with, Dell VDI Complete, which brings together the front- and back-end infrastructure to create a fully validated desktop-virtualization bundle, organizations can rapidly deploy desktop virtualization much quicker than ever before. Client devices are critical in helping corridor warriors receive the best possible experience. They’re rarely in one place for long. They pound the office floors, flitting from meetings to brainstorming sessions and using every available collaboration space. 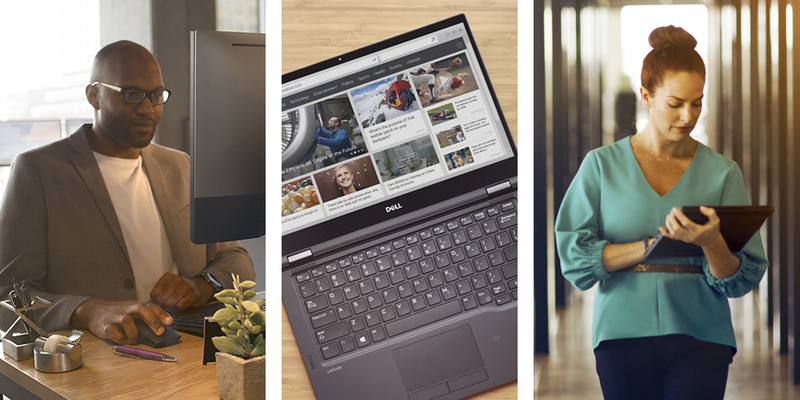 To meet their needs, we recommend the Dell Latitude 7000 Series 2-in-1, a Windows 10 Pro notebook that doubles as a tablet – perfect for those who are on the move. In addition, ProDeploy Plus enables fast deployment with preconfigured collaboration software —such as Microsoft SharePoint and the cloud-based Office 365. The widespread move of IT services to the cloud suits this persona perfectly. Our servers are built to work seamlessly with the Microsoft Azure stack so when these mobile users are working, they receive the same secure software environment continuously. A real-life story of corridor warriors in action is The Austrian Institute of Technology (AIT), which employs over 1,100 researchers working across eight sites, and each with two workspaces on average. Read our case study to understand how the largest non-university research institute in Austria matched its workers with the right Dell EMC technology. We’ll take care of the solutions, so you can take care of your customers. Read the Desk-Centric Users and Corridor Warriors guides, as well as others, here.